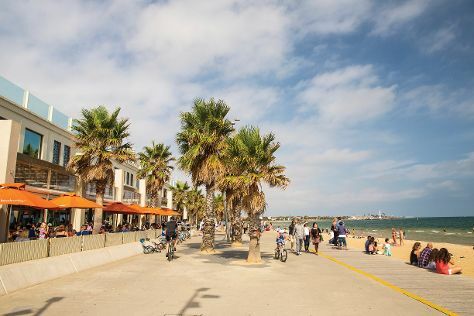 Step out of the city life by going to St. Kilda Beach and Cowes Beach. You'll get in some beach time at Half Moon Bay and Sandridge Beach. Spend the 17th (Tue) wandering through the wild on a nature and wildlife tour. There's much more to do: take in the local highlights with Royal Botanic Gardens, take in panoramic vistas at Eureka Skydeck 88, enjoy the sand and surf at Port Melbourne Beach, and admire nature's wide array of creatures at Melbourne Zoo. To see photos, ratings, maps, and more tourist information, read our Melbourne online trip itinerary planner . If you are flying in from Singapore, the closest major airport is Melbourne International Airport. In December, daytime highs in Melbourne are 30°C, while nighttime lows are 14°C. Finish your sightseeing early on the 19th (Thu) to allow enough time to travel back home.